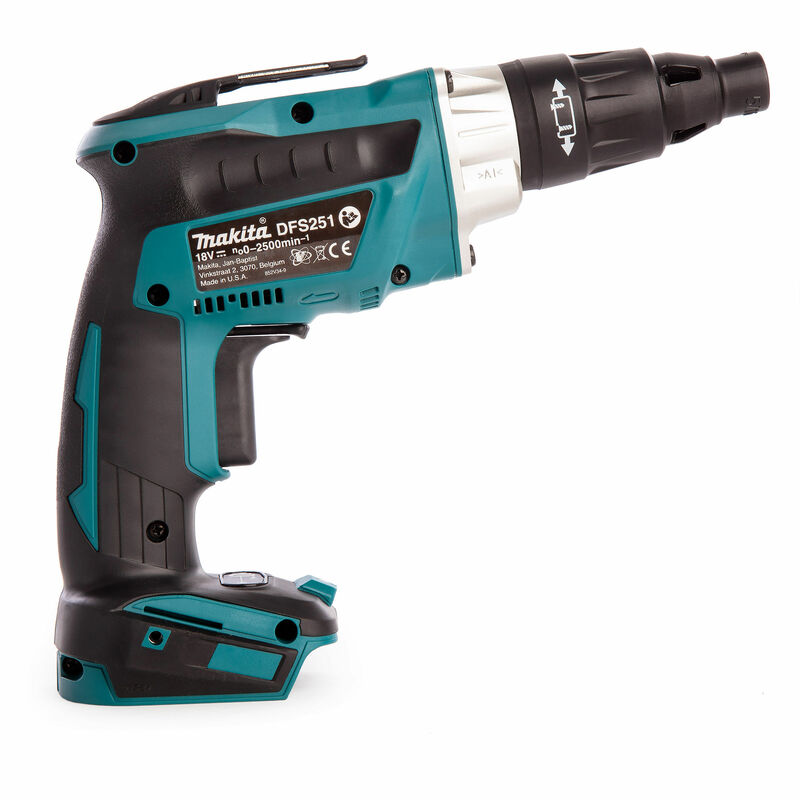 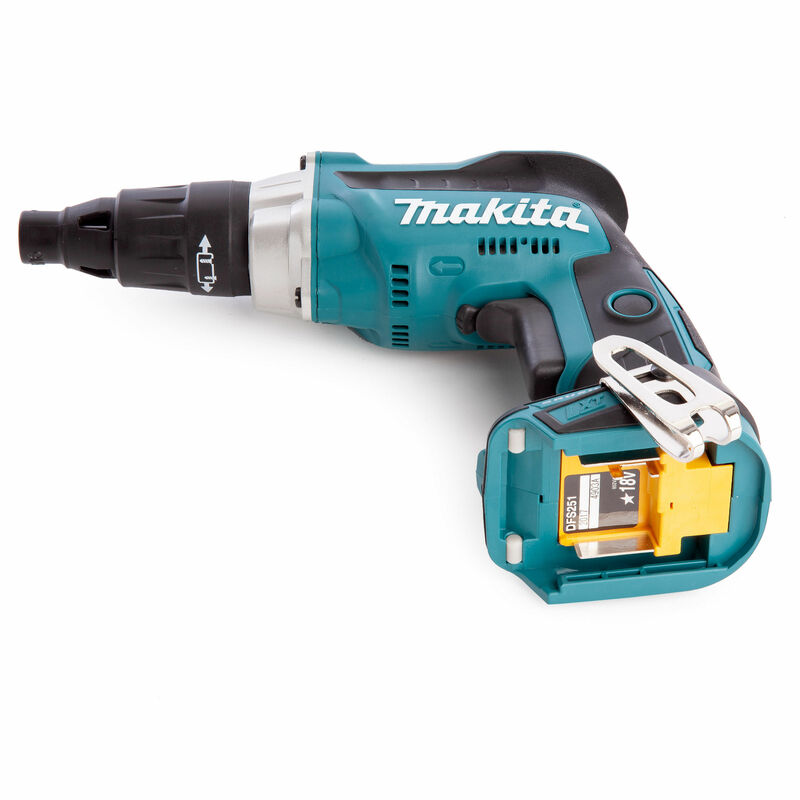 The Makita DFS251Z is a Cordless Body Only Screwdriver powered by 18V Li-ion batteries. 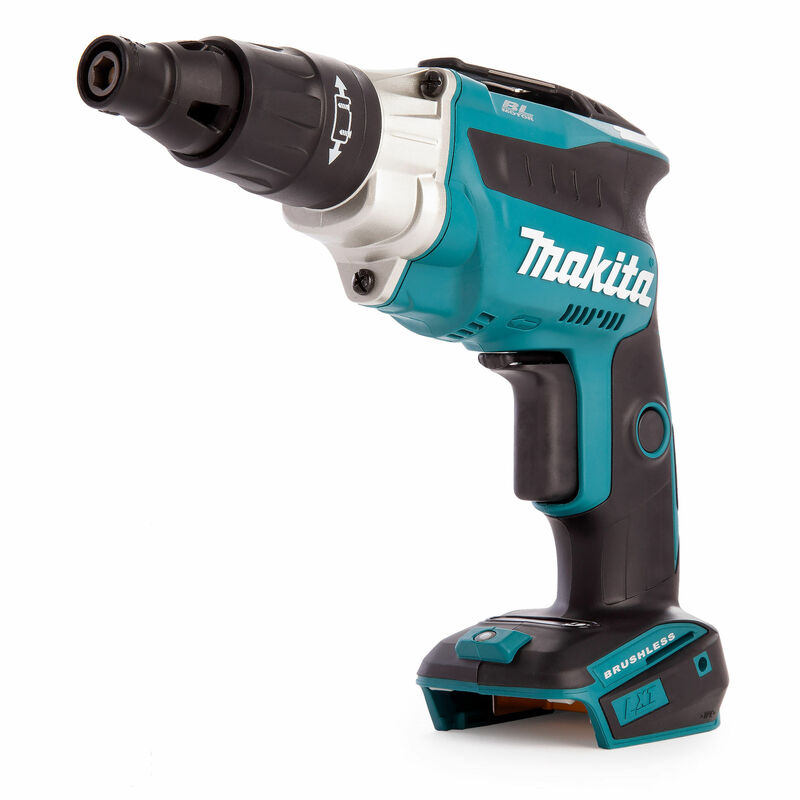 The machines development has been based on the model DFS452 and aimed specifically at TEK applications. 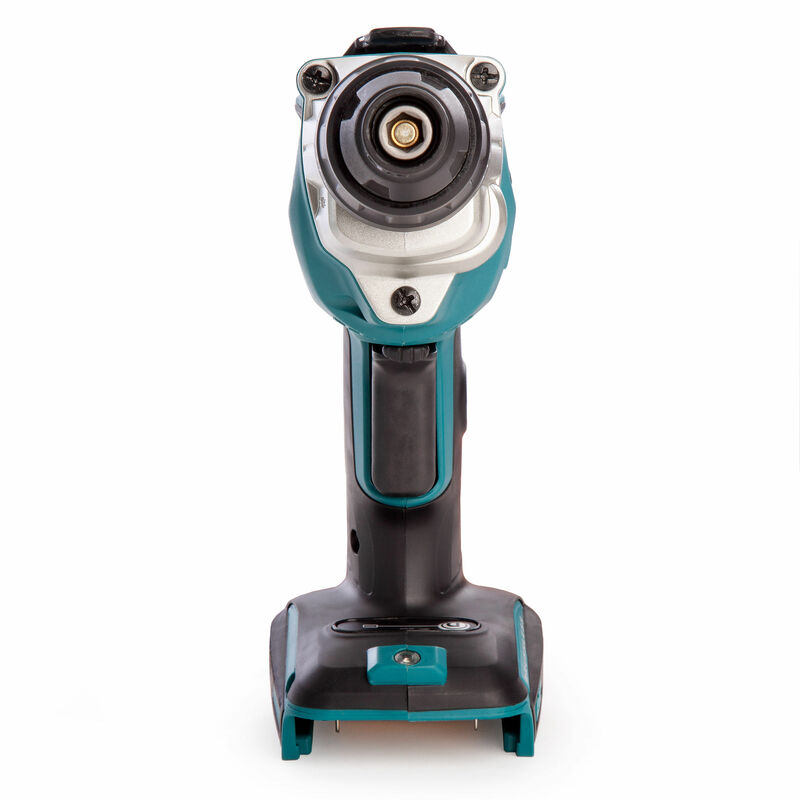 Brushless Motor technology gives the DF251 a no load speed of 2500rpm. 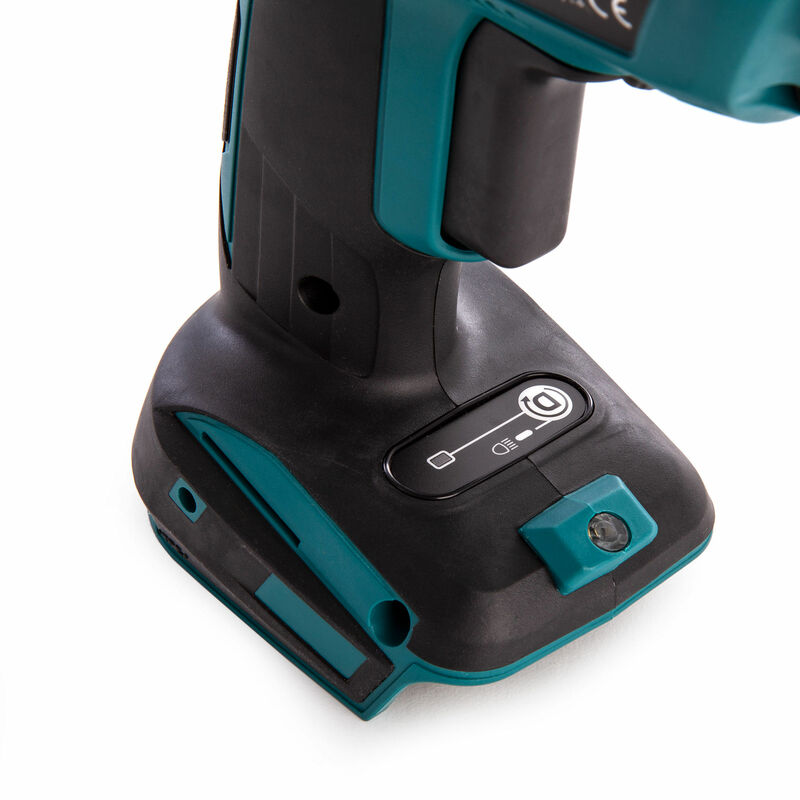 It has a Magnetic 1/4 Inch Hex Driving Shank and comes with a Belt Clip. 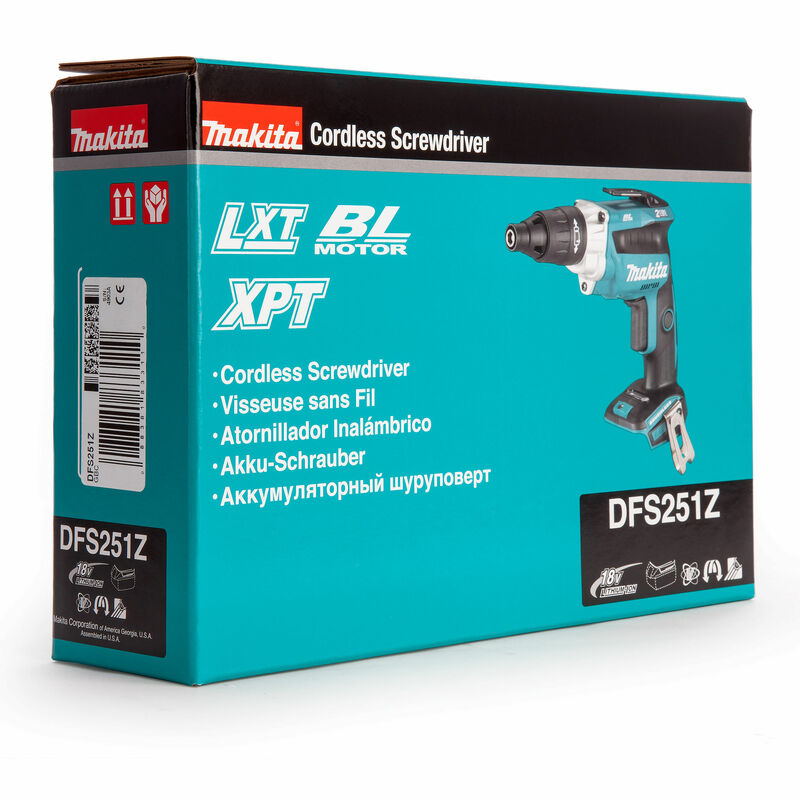 Sold without charger or batteries in a cardboard carton.